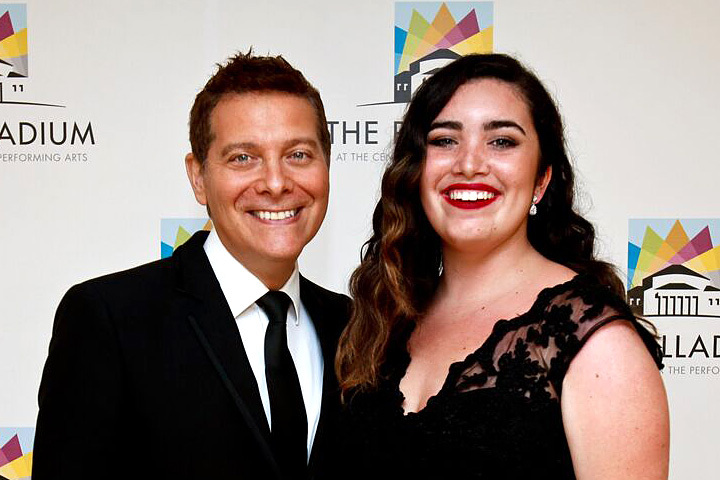 Millikan High School junior Gwendolyn Sierra joined multi-platinum selling, five-time Grammy-nominated entertainer Michael Feinstein for a Frank Sinatra centennial celebration Nov. 6 to 7 at the Segerstrom Concert Hall in Costa Mesa. The young singer was a national finalist in the 2015 Songbook Academy, sponsored by the Great American Songbook Foundation. At Millikan, Sierra is a member of the concert choir, a cappella group, play production class, and improv comedy team. Feinstein created the Songbook Academy in 2007 to encourage young artists who have an interest in the American Songbook, which includes the music of classic Broadway, jazz standards and popular music. Feinstein is considered one of the premier interpreters of American standards, having performed at Carnegie Hall, the Hollywood Bowl, the White House and Buckingham Palace. He joined the Pacific Symphony to open their 2015-16 Pops season with the Sinatra Centennial Celebration.